Kumkang Shoes is Korea's leading fashion retailer specializing in formal, casual and athletic footwear, as well as trendy clothing and accessories. 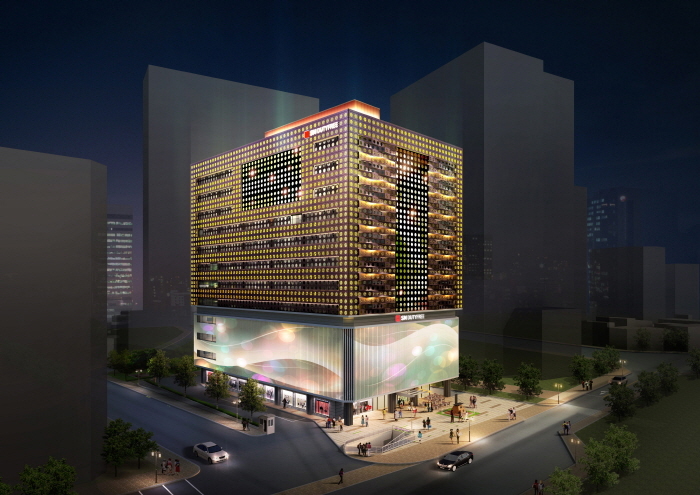 With bright and modern decorations, Kumkang Seomyeon is a standout amid larger shopping sites such as Lotte Department Store and Migliore Shopping Center. Kumkang Shoes is Korea's leading fashion retailer specializing in formal, casual and athletic footwear, as well as trendy clothing and accessories. 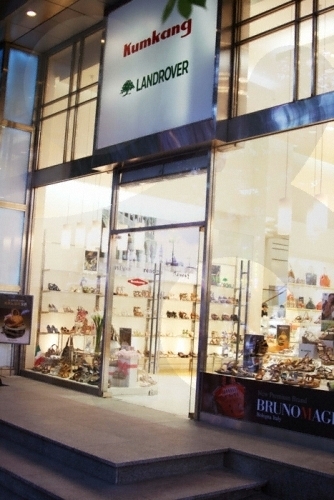 Located on the famous Gangnam-daero Boulevard, Kumkang Gangnam carries a wide selection of trendy footwear for both men and women. Moreover, customers may receive free product consultation from product specialists at the customer service center. Kumkang is a representative shoe brand of Korea (sneakers, casual shoes, etc.) that is gradually expanding its product line to include accessories and clothing. 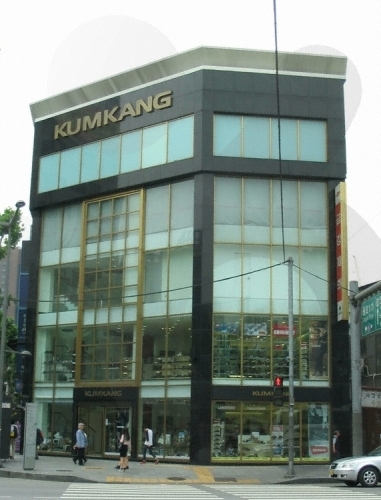 The Kumkang branch located on Myeongdong Street is frequented by international visitors and offers larger sized shoes (at the plus-size section) and an after service center (4F). Some of the bestsellers at the branch are Regal products, a sub-brand of Kumkang. 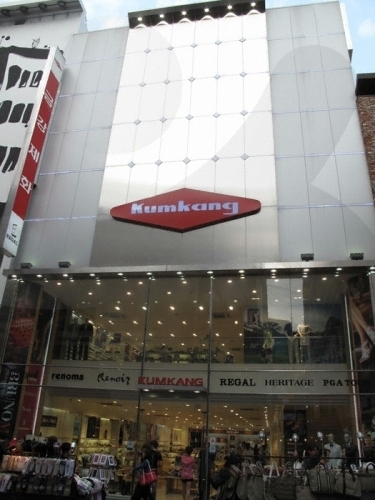 Kumkang Shoes is Korea's leading fashion retailer specializing in formal, casual and athletic footwear, as well as trendy clothing and accessories. Located in central Seoul, Kumkang Jongno is easily accessible from major shopping areas such as Insa-dong and Dongdaemun Market. Moreover, this Kumkang branch has a tailor shop that provides tailoring and repair services. 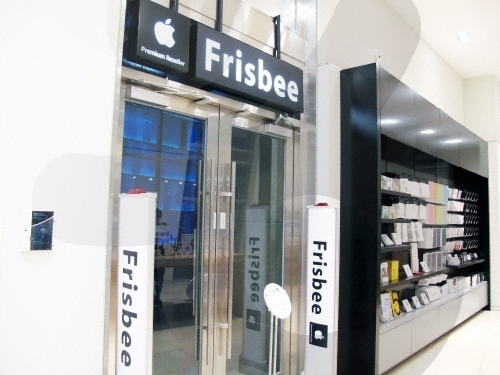 Frisbee Geondae is conveniently located right in front of Konkuk University Station, inside the Star City Mall. Inside the mall is the Lotte Department Store, E-mart, Lotte Cinema, a food court, and restaurants. SM Duty Free opened in Insa-dong, in the center of Seoul, as a new landmark to lead duty free shopping culture. It houses 490 brands and about 60,000 items including premium luxury brands, best sellers of duty free shop, and K-Culture products to attract domestic and international travelers. It offers a wide range of brand selections from Coach, Bally, Etro, Franck Muller, Marc Jacobs, Estee Lauder groups, Sulwhasoo, Whoo, Cheong Kwan Jang and other brands. Also, Hallyu-related goods at Korea Drama Mall and drama filming set, K-Cosmetic Zone, K-Baby Item Zone and Hallyu experience hall are available on the 5th floor for foreign visitors. 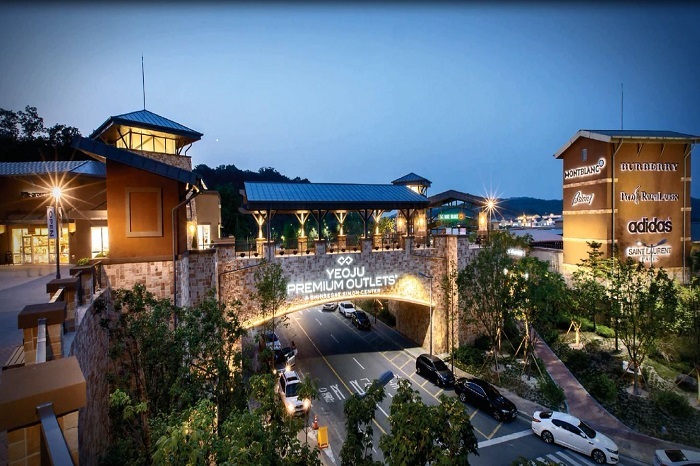 Shinsegae Simon Yeoju Premium Outlets is Korea’s first premium designer outlet operated by Shinsegae Simon, a joint venture between the Korean conglomerate Shinsegae and Simon Property Group, No.1 company in the US outlet market industry. The exotic shopping atmosphere is separated into two buildings, A and B, and shoppers can also enjoy the beautiful outdoor landscape while shopping. Take advantage of the year-round discounts of 25–65% on over 140 popular luxury brands including Burberry, Bally, Bottega Veneta, Coach, Dolce & Gabbana, Escada, Fendi, Ferragamo and Gucci. In particular, lifestyle and beauty brands such as Le Creuset and Royal Copenhagen are also available at the outlet, with the addition of international beauty brands such as Clinique, MAC and Estée Lauder, sold here at prices lower than at duty-free shops. Moreover, four restaurants are available inside the mall to satisfy your appetite, including a 500-seat food court, a Japanese restaurant, and a family restaurant. Gangjin Tamjin Celadon is the gallery of Mr. Kim Gyeong Jin, Gangjin Celadon Master No. 1, and Jeollanam-do Master Craft Artisan No. 3, also serving as a celadon retail shop. Master Kim Gyeong Jin had been taught by Master Jo Gi Jeong, Intangible Cultural Heritage No. 5 with celadon skill. Tamjin is a former name of Gangjin, home to Gorye Celadon. Cheongjachon, Daegumyeon where the retail shop is located, is also the venue of Gangjin Celadon Festival every year. Gangjin Tamjin Celadon is an eco-friendly pottery emitting far infrared ray and anion, and has been selected as an excellent craft product by the Ministry of Physical Culture and Sports. The retail shop is filled with celadons in jade color. Celadon with different patterns such as celadon tableware, teaware in lotus leaf shape, celadon coffee grinder, and dripper, coffee cup, etc. are on sale. At the back of the shop is a traditional kiln still heating porcelain. There is also a site for up to 70 people to experience celadon making activity including pattern carving and wheel shaping. Goryeo Celadon Museum, located just opposite the shop, displays the 500-year history of the celadon; Korean Minhwa Museum, on the other hand, is another spot worth visiting. Located on the main avenue of Itaewon in Yongsan-gu, Seoul, Series Corner is a flagship store operated by men’s wear brand Series. Since its opening in the summer of 2014, the store has been implementing collaborative projects with various brands to share the space filled basically with Series brand products in addition to clothing brands for men and women: Epigram and Re-code, natural cosmetics Aesop, G.H.G.M. specializing in wooden items, and accessory brand MOREE. The large space in the front is reserved for Mug For Rabbit, a terrace café selling various teas, beverages, and desserts including carrot cake. The store is good for enjoying shopping and casual food and drinks. The store offers foreign language service in English, Chinese, Japanese, and French during business hours. Shoppers who drive can use the store’s parking lot. The store is only about five minutes away from two exits of the subway stations: exit 1 of Hangangjin Station and exit 3 of Itaewon Station on Line 6. The store is open daily from 11 a.m. until 9 p.m. all year round, but the café is open until 11 p.m. and until midnight on Fridays and Saturdays. 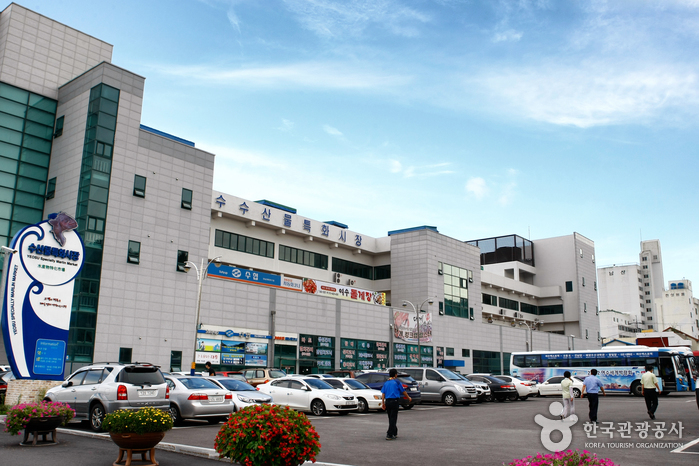 Doota is visited by a large number of foreign visitors compared to other shopping malls, with 55,000 local visitors and 10,000 foreign visitors a day. Services for foreign tourists include an information desk (1F) that provides information in three foreign languages (English, Japanese, and Chinese), money exchange (1F), Tax Refund office (5F), souvenir shop (5F), and storage lockers (B2). They also give away coupon books, which can be used at shops popular among foreign shoppers, and souvenir gift kits. Kumkang Shoes is Korea's leading fashion retailer specializing in formal, casual and athletic footwear, as well as trendy clothing and accessories. Located in Gwangbok-dong near many tourist attractions, Kumkang Busan carries a wide selection of trendy footwear and fashion items for young people in its clean and modern interior. Customers may receive free product consultation or simply take a rest at the customer service center on the 4th floor.